Christmas Countdown 2012: 21 days! Three weeks from today is Christmas Day! 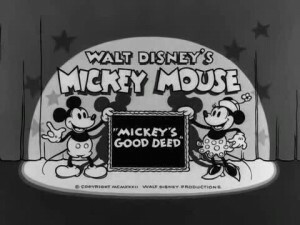 Today’s countdown feature is Mickey’s Good Deed, a classic Disney holiday cartoon from 1932. Some of the scenes may make you wince (this cartoons was made in a different era), but the ending is a happy one!